Here's What's Happening at Nick's! 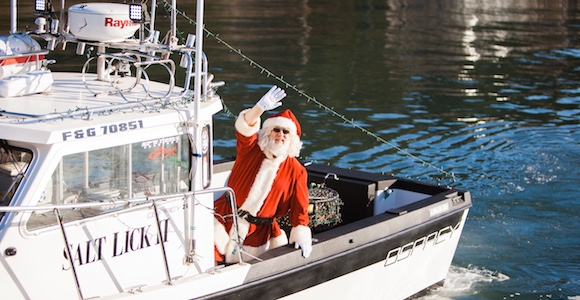 Santa’s On His Way To Tomales Bay! Get in the holiday spirit this season with the Nick’s Cove crew as we welcome Santa Claus at our Eighth Annual Holiday Open House. Santa will arrive by his trusty water sleigh around 3:00 p.m. on Sunday, December 2nd. Children and their families are invited to enjoy complimentary cookies, hot chocolate and cider in our Boat Shack as they wait for their turn to tell Santa what’s on their wish list this year! A photographer will be on hand to take portraits with Santa; however, you are welcome to bring your own camera.